A. 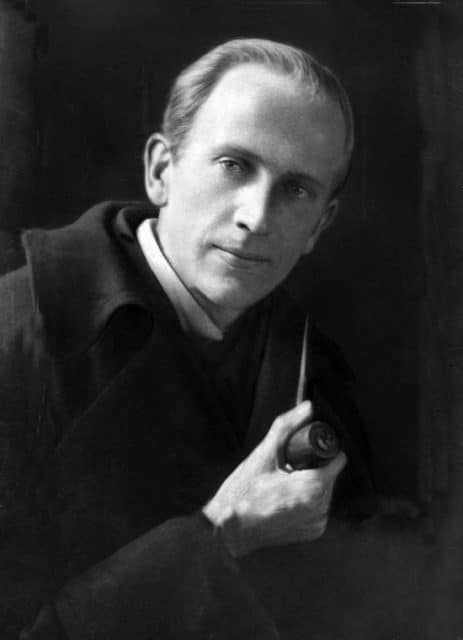 A. Milne, photograph by E. O. Hoppé. On this day in 1882, Alan Alexander Milne, better known as A. A. Milne, was born. Milne is best known for creating Winnie-the-Pooh, who has been delighting children for nearly a century. Pooh bear catapulted Milne to fame, and the association between character and author was so great, that he found it difficult to return to his first love: comedy. 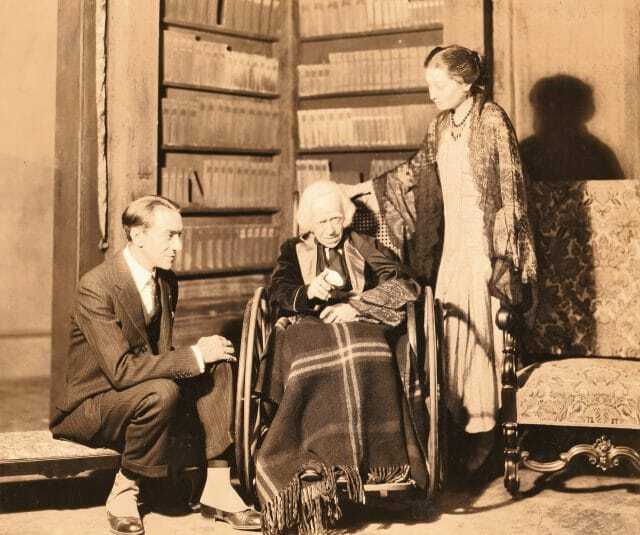 Some may be surprised to learn that by the time Milne wrote his poems and books of Pooh, he was an already established playwright, essayist, and poet. Before conceiving of “that silly old bear,” Milne was a comedy writer, and eventually editor, for the British humor magazine, Punch. His writing was wry, witty, and a little risque. Earle Larimore and Selena Royle in Meet the Prince, 1935 at the Berkshire Playhosue. Milne’s plays were described by the New York Times as “the idea of whimsicality raised to terms of life.” His style of comedy was often compared to that of his colleague J. M. Barrie of Peter Pan fame. Both authors faced intense scrutiny after their iconic characters took flight. Milne was no less talented a writer after Pooh, but his reader’s perception of him was forever changed. This did not prevent Milne from adding to his ever-growing list of works. He dabbled in numerous genres from mystery to magical realism. Each time his publishers cautioned against attempting new genres. Each time he proved his publishers wrong. 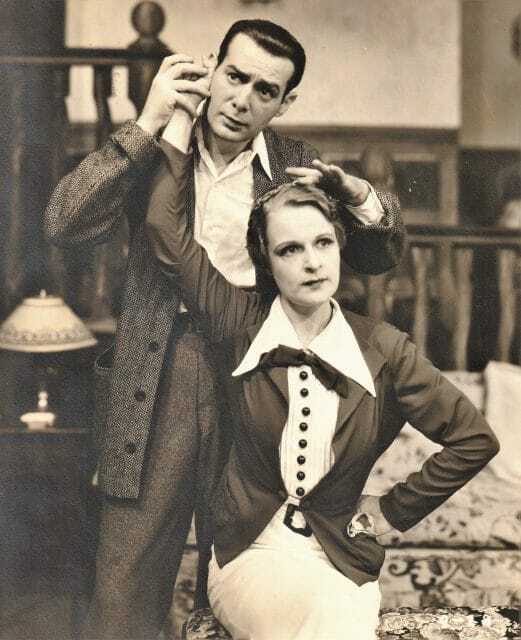 Peggy Hovenden and Geoffrey Wardwell in The Perfect Alibi, 1932 at the Berkshire Playhouse. 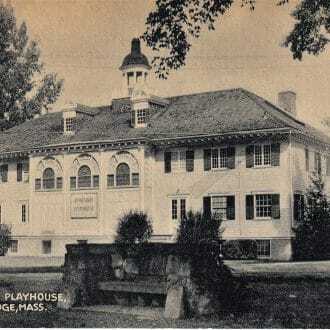 Of the plays written by Milne, six were performed at The Berkshire Playhouse between 1928 and 1935. 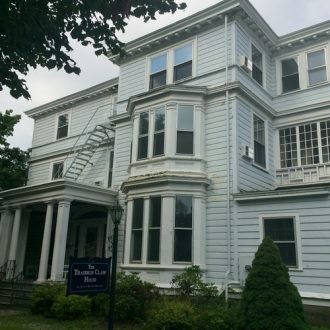 During the beginning years, the Playhouse directors often brought plays that had fared well on Broadway to the picturesque town of Stockbridge. Each of the six plays by Milne that were produced, had enjoyed Broadway runs before, and in some cases after, their runs at the Playhouse. The Inaugural year of the Playhouse saw Mr. Pim Passes By and The Romantic Age. Both comedic romps brought an air of levity and laughter to the Stockbridge Summer. Alexander Kirkland, co-Director with Strickland, starred in both performances. Quality and popularity encouraged Kirkland and Strickland to continue producing his works in the next few years. 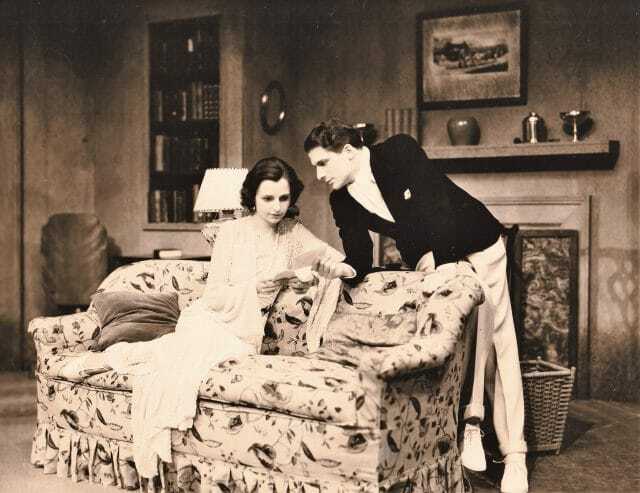 Pedro de Cordoba, Donald Meek, and Aline McMahon in The Truth About Blaydes, 1929 at the Berkshire Playhouse. Four of his other works, The Dover Road (1929), The Truth About Blaydes (1929), The Perfect Alibi (1932), and Meet the Prince (1935) had warm receptions at the Playhouse. The summer company that starred in these shows included Richard Hale, Donald Meek, Cecilia Loftus, and Mary Wickes. Milne’s British comedies delighted the residents of Stockbridge, and went on to further success throughout the country. While A. A. Milne may be best known for Winnie-the-Pooh, his writing stretched far beyond the beloved bear. His plays, poems, and novels are carefully crafted works that continue to entertain and delight readers and audiences of all ages.